You can contact us in writing (by letter, fax or email) or by speaking with our Director Pauline Mainwaring, either by phone on 0333 200 8773 or 07791 575 605, or by email at mainwaring@infinitelaw.co.uk or by post at The Old Dovecote, Crescent Road, Llandeilo, Carmarthenshire, SA19 6HN. We will write to you within 7 working days acknowledging your complaint, enclosing a copy of this policy. Alternative complaints bodies such Small Claims Mediation exist which are competent to deal with complaints about legal services should both you and our firm wish to use such a scheme. 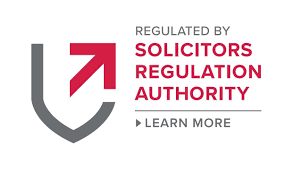 If we are unable to resolve your complaint, and it relates to a contract we entered into online or by other electronic means, you may also be able to submit your complaint to an approved alternative dispute resolution (ADR) provider in the UK via the EU ‘ODR platform’. The ODR platform itself is free to use, but the ADR entity to which the complaint is transmitted may charge for its service. The ADR entity is responsible for informing all parties of the cost of its dispute resolution procedure.